Providing quality education for all children is a challenge in multicultural societies such as the United States. Historically, individual educators and theorists have proposed a variety of approaches to educating children whose native language is not English. 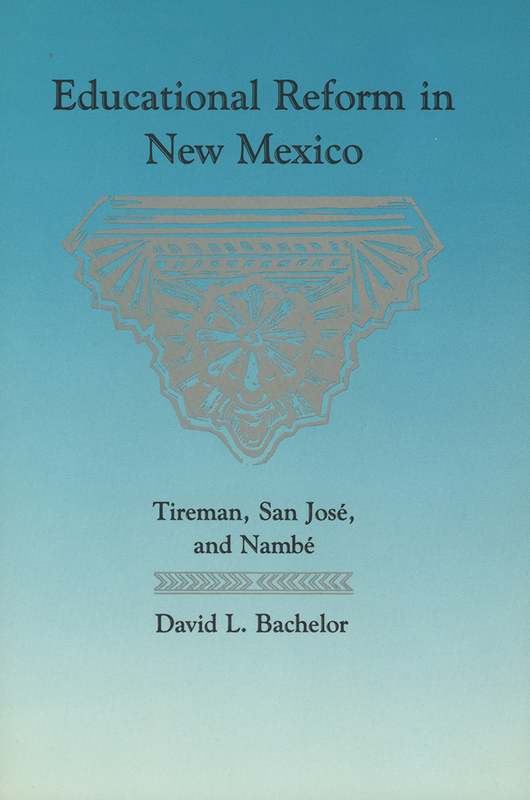 In the 1930s Loyd Tireman organized two experiments in cross-cultural education in New Mexico. These experiments were remarkably successful and anticipated contemporary trends, yet they remained unacknowledged and, until now, unstudied. Bachelor makes Tireman's insights available to modern teachers. Tireman saw the necessity of tailoring education to the child rather than fitting the child into a standardized curriculum. His demonstration school at San José near Albuquerque reversed low reading comprehension scores and became an important resource for rural teachers. The school at Nambé became a center of village life as parents were drawn into efforts to make the schoolroom relevant to children's lives. Bachelor offers a balanced assessment of Tireman's efforts and considers his career in relation to the nature of educational reform.